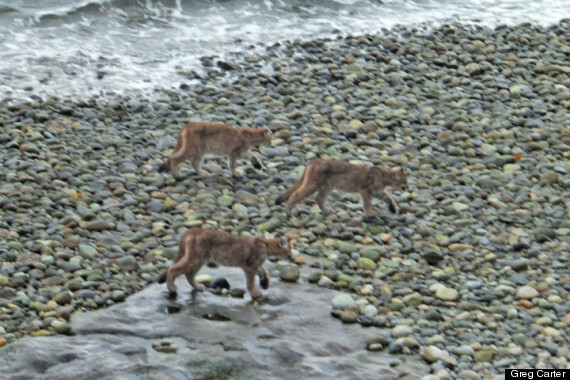 Three cougars strolling on a B.C. 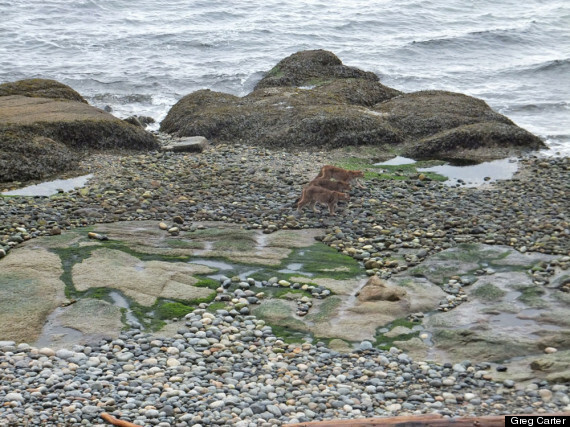 beach were caught in some amazing snapshots last week by a couple who live on the Sunshine Coast. 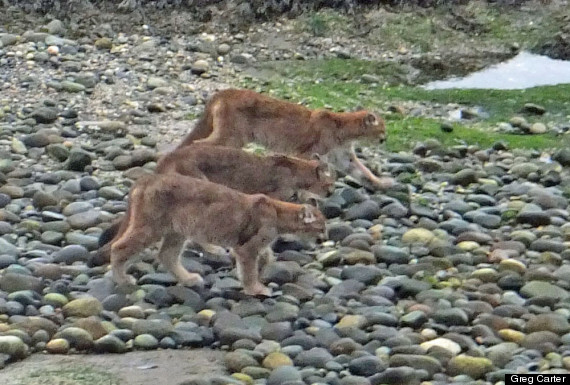 Greg and Mary Carter saw the animals from the window of their waterfront home on Flume Beach in Roberts Creek on Jan. 2. Greg managed to take some photos from their deck as the cougars ambled just metres away. "We'll probably never see them again. Cougars are private. They don't normally hang around humans," Greg Carter said in an interview with The Huffington Post B.C. on Thursday. Conservation officer Dean Miller told CBC News he thinks it was a mother and her two adult cubs who were probably looking for food. He said they appeared thin. Miller said it's rare to see a cougar, let alone three, Global reported. Carter sent his photos to a neighbour who emailed them to his son — who posted them to Facebook. "Now we know what the word viral means," he chuckled. Conservation officers are keeping tabs to make sure the cougars don't return. Cougars who become a threat to people have to be put down as they cannot be succesfully relocated. Last week, a female cougar found prowling in an Okanagan community had to be euthanized.